Cantina 76 embraces comfort and cuisine, just like Chaco Sandals are all about comfort and versatility! Chacos and tacos- they just sound good together. 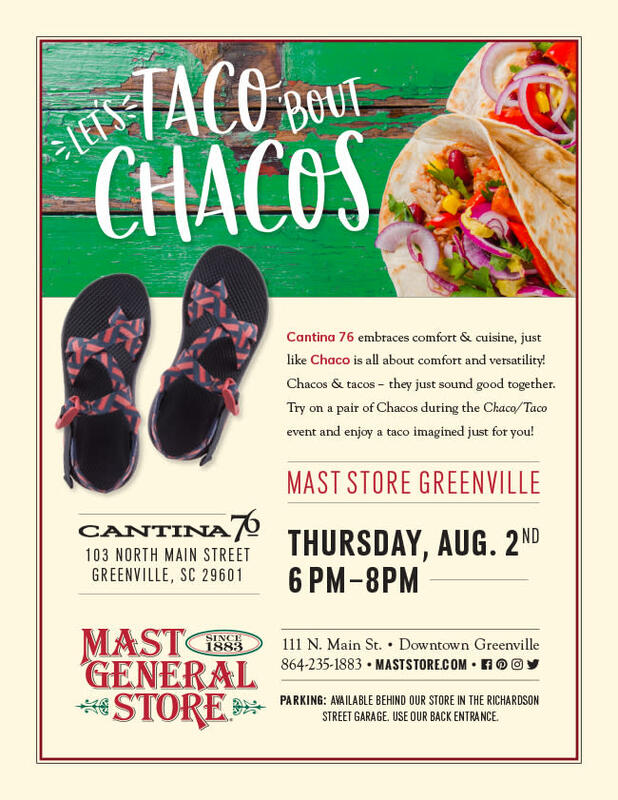 Try on a pair of Chaco Sandals during the Chaco & Taco event and enjoy a free taco imagined just for you!